We may not be completely aware of it, but colors can affect our mood and the way we feel. 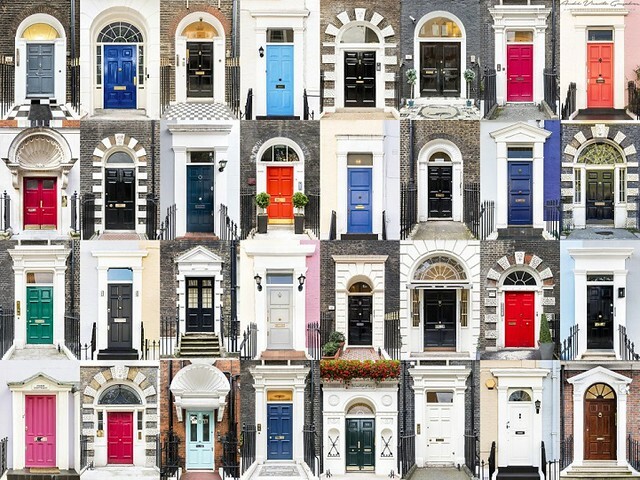 In fact, your choice of color for your front door also tells a lot of things about you. When it comes to choosing the right color, you would definitely go for a color that will compliment the look of your home. Even if this is the case, colors in so many ways can affect the psychological sense of people. Colors have different meanings and in choosing a color for your door, it says something about you. Green: Known for being the color of nature, if you want a door that will promote balance and harmony, green is the best choice. Usually, green colors are known to promote safety, good health and peace. The color itself is very soothing for the eyes. Blue: Whenever you look at the ocean, you feel its serenity and tranquility. The same thing happens when you use blue. Painting your door with color blue makes it looks very peaceful and serene. Your home serves as a place of comfort and serenity. Brown: This is the usual color that most people prefer. It promotes just the natural beauty of any place. When you use this color for your door, it means that the house is owned people who can give warmth and the house exudes stability. Black: If you look at the color black, it signals power, authority, strength and elegance. Usually, houses that have black doors demonstrate the same set of qualities. It only means that it is truly a serious place where a person with authority or substance currently resides. Red: This color is quite common. So, what does it mean if you choose red as your front door color? Red demonstrates a place that is vibrant, full of energy and vitality. That is why most restaurants would use this color. https://stgeorgepaintingcompany.com/wp-content/uploads/2015/04/accent-logo.png 0 0 olwm https://stgeorgepaintingcompany.com/wp-content/uploads/2015/04/accent-logo.png olwm2016-07-06 21:18:442019-03-11 22:25:03What Does The Color Of Your Front Door Say About You?